After the article Who needs this scribble? 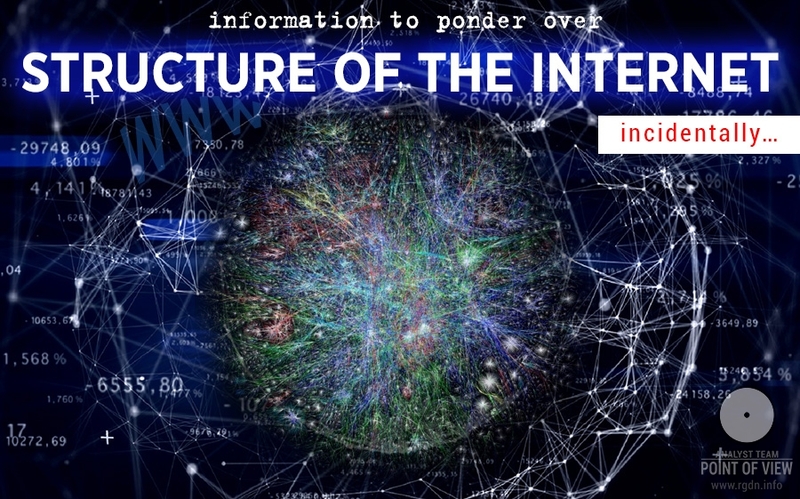 was released I became interested: what does the World Wide Web represent in fact, and how is its functioning stability secured? Internet is such a habitual word nowadays. There is already a whole generation of people who don’t know the time when there was no Internet. Many encounter it on a daily basis, others use it from time to time, and still others spend 24 hours enmeshed in the web. Now it’s an enormous depository of diverse information, basically a huge database of the knowledge of contemporary humanity, starting from a permanent magnet machine patented by an enterprising German guy who used to quietly rivet unique aggregates in his garage (before he was arrested), and up to essays and papers on any subjects. Everything depends on the taste and needs of a concrete individual.